If you’ve watched the NBA playoffs lately, other than Stephen Curry’s amazing three-point range, the chatter in the social atmosphere is all about what the players are wearing to the game. Players such as Russell Westbrook of the Oklahoma City Thunder, are taking fashion and style to a new level with their unique and edgy off-court couture. But the men aren’t the only ones wowing fans with their gameday wardrobes. 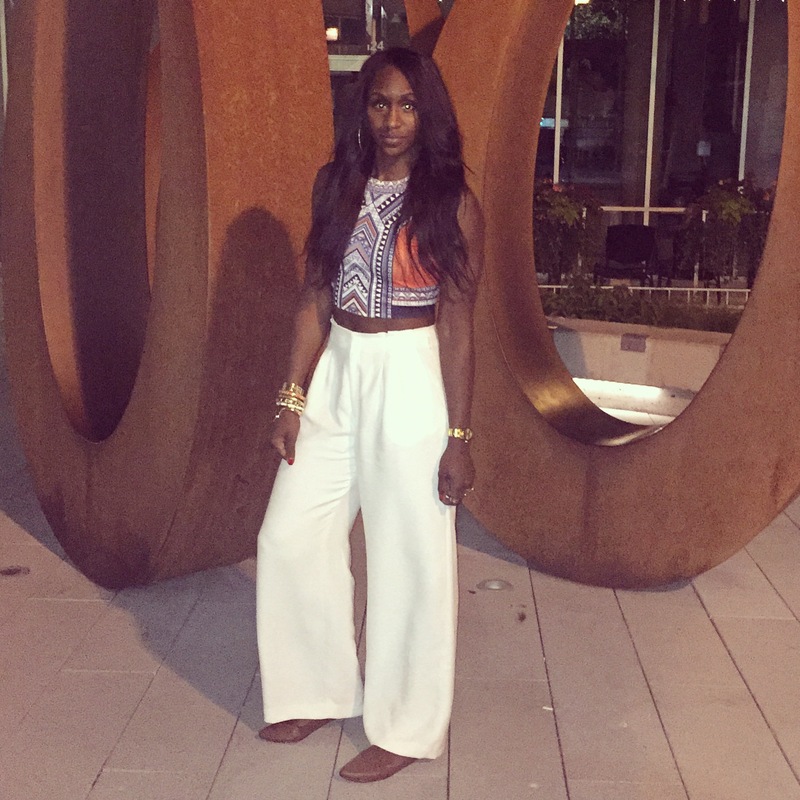 Take WNBA’s power forward Crystal Langhorne. 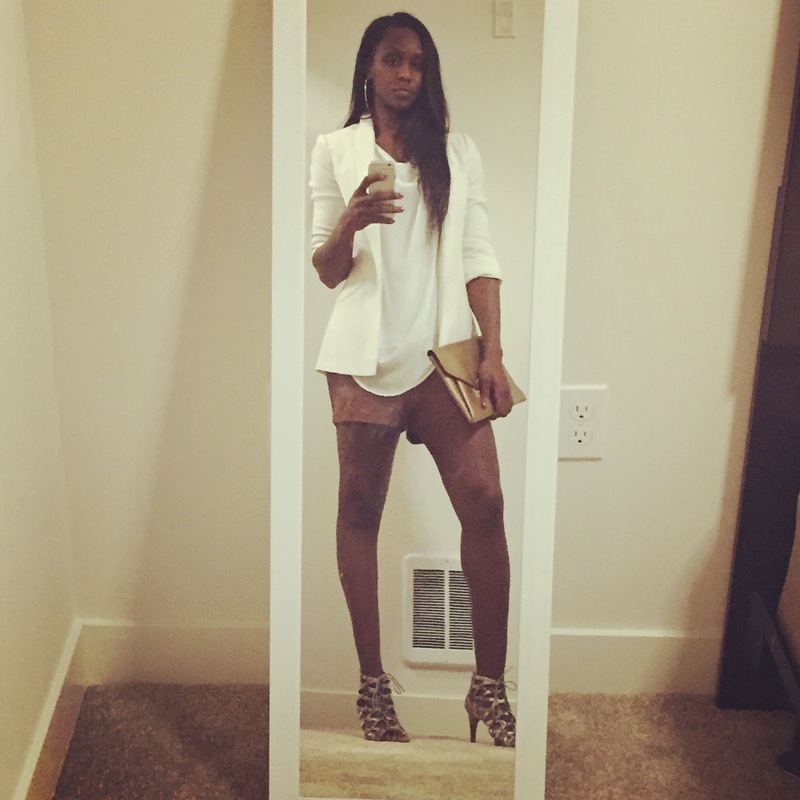 The Seattle Storm’s starter is not only a threat on the court, but her chic and sassy style has been noticed by many for quite some time. A lefty, who sports career averages of 12 points, 7 rebounds, there’s another side of Crystal that you may not know about. 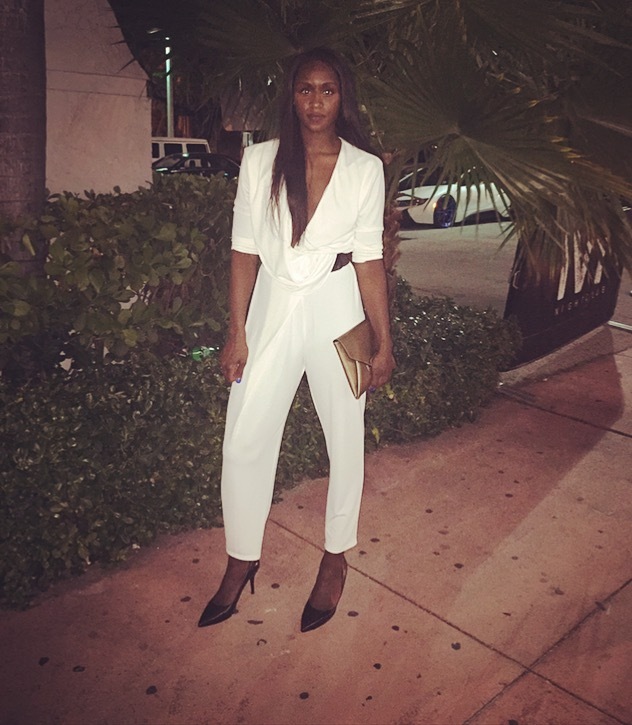 The 6’2” forward sense of style is changing the look of the WNBA one pre-game get-up at a time. Last season, Crystal seemed to start a trend by posting snapshots of her gameday fits on social media. A great idea to share her love for fashion and to give fans a glimpse into her stylish ways. Like many others, I wanted to learn more about Crystal’s passion for fashion and her well-thought-out wardrobe which she maintains throughout the season, even on the road! Here’s what she had to say. Crystal has created her own fashion blog (Crystal’s Closet) where we will get a chance to see what she’s been wearing during the season. A special treat, we will even get to know where she purchased her items from! Make sure you check out her first blog post here. What made you decide to start a blog about your fashion? I decided to start a blog because I wanted to have a fashion source for athletes, especially the taller ones. I’ve had people reach out to me about where I’ve gotten some of my clothing because finding clothing for tall women can be difficult. This blog will help women find better clothing options for themselves. People are interested in seeing basketball players off the court. People just don’t want to see basketball players playing basketball. People love seeing NBA players game day outfits and I want to do the same thing for the ladies. Have you always been into fashion? If so, what was it about fashion that made you interested. If not, when did you start getting into fashion and why? I wouldn’t say I’m into fashion as much as I’m into my appearance, if that makes sense. Your appearance is the first thing people see and I’ve always wanted to present myself in a good way. I like to look well put together which I guess makes me “fashionable”. Where is your favorite place to shop? My favorite place would be Zara, but I also love Mango, H&M, Nordstrom rack, and Long Tall Sally. What do you find most difficult (personally) about being fashionable? The most difficult thing I find about is that people expect you to be stuck up because you like to dress up. I’ve never understood why dressing nice meant you weren’t nice. Being over 6 feet tall how and where are you able to find clothes that fit you perfectly? I shop at certain stores like Long Tall Sallys, Asos and Top Shop both tall line these are stores where I get my main go to’s. For a lot of other stuff I get it tailored. I may let out a hem on a pair of pants. I just try a lot of things on. Sometimes i’ll try a jumpsuit on that not tall and luckily it will fit. What is something that should be in everyone’s closet? I believe a blazer should be in everyone’s closet. It’s a piece that can be worn so many ways. What is your signature piece of clothing? My signature piece right now would be anything high waisted, I just loveeee anything high waisted. What makes someone fashionable, hmmm, to me it would be someone who puts their clothes on with a purpose. Not just putting clothes on to cover their body or wearing things because of labels, but using the clothes to express themselves or send a message. What do you suggest for someone who wants to dress better or be more fashionable? I would say you need to be patient and try on a lot of clothes. It takes time to see what works well with your body and who you are as a person. The fit and fabric also make a huge difference. What is the biggest mistake in fashion that athletes make? The biggest mistake athletes make is getting the wrong cut/fit. We are strong, athletic, beautiful women, but everything isn’t flattering for our bodies. Like you might need to buy those dress pants two sizes bigger and get the waist taken in because they’ll look too tight on your thighs otherwise. I know there are some things I avoid because they just don’t compliment my body. What do you want fans or readers to know about you? I want people to know that I’m NOT a fashion expert. I’m just a woman who enjoys wearing clothes that I believe makes me look great. And with this blog, I think I can help some people who want to dress better, dress better. And hopefully, if I can get other players to join, I can bring a different side to women’s basketball that can be highlighted a little more.